St Clair Kindergarten is located in the residential area of St Clair, close to the beach and esplanade. We enjoy strong support from our families and value the sense of community this relationship brings to the kindergarten. The team at St Clair encourage our children to discover the world around them, work through their ideas and express curiosity via our inquiry-led learning approach. St Clair offers a programme that encourages creativity, exploration, problem-solving and physical movement opportunities. St Clair was established in 1914 in the St Clair church, and continued to operate from that site for 100 years. 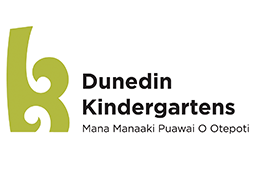 We joined the Dunedin Kindergartens family late in 2014, and moved into our brand new purpose built kindergarten on the same site in January 2019.